Juniper wood, naturally fragrant, beautifully grained, is an essential for your Deejo, presented here by the 37g model. 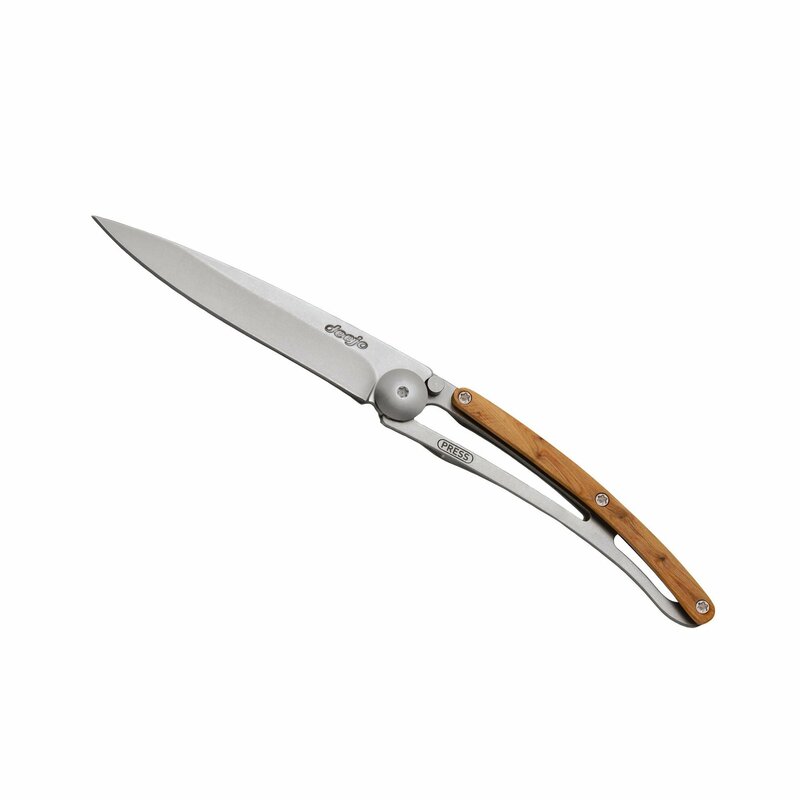 Ultra-light knife in 420 stainless steel, matte finish. Secure liner lock system. Belt clip. Solid juniper wood handle slab.